Your starting point doesn't have to be perfect. Let’s take the example of exercise and rest. 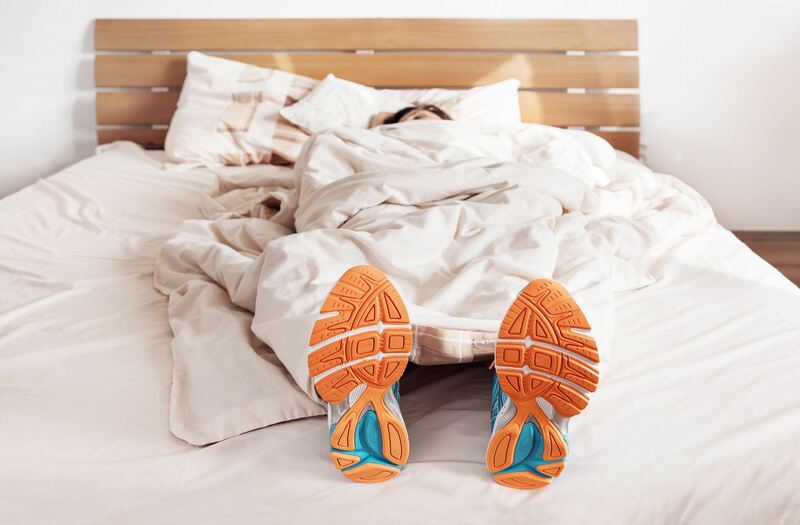 Many of our readers by now are familiar with the REWIRE acronym, and – even if you aren’t – inviting you to get serious about adequate Rest and your physical Wellness is not new. And yet, day after day we hear stories about how people who say they no longer have the time for physical exercise, in spite of what we all know to be its myriad benefits. I also want to point out that there is a tremendous body of scientific research that shows the effect that physical exertion has on our ability to rest thoroughly. If you are interested in reading some of the science, you can start here. So getting on an exercise routine that will, in turn, help you get more rest is one of those classic “two birds with one stone” dynamics. And what we’ve seen as we’ve worked with individual clients and teams is that starting and maintaining this paired habit transforms the work we do during the rest of our waking hours. Talk to any of us here at Rewire and we can have an in-depth discussion about how we improve brain functionality (i.e. stilling the lizard brain) through the increase of deep and restorative rest. If, however, we can also move ourselves to begin and sustain an exercise program, then we achieve the combined benefit of improved neurochemistry from exercise that leads to deeper levels of restorative sleep. How on earth can anyone not make time for such a powerful combination? So what will it be? Will you stay one of the too many who wished they had planted that oak tree all those years ago, or will today be your day to start? I would love to hear your stories of “trees” (or habits and decisions) that you planted months or years ago that are giving results now. Tell me about it in the comments section.